What is the Google Talk? Google Talk, which enables users to instantly communicate with friends, family, and colleagues via voice calls and instant messaging. Google Talk is an instant messaging service that provides both text and voice communication. In this tutorial, we demonstrate how to use the Voice Changer Software Diamond 7.0 for changing your voice in Google Talk application. On VCSD 7 main panel, click Preferences to open the Preferences dialog box. 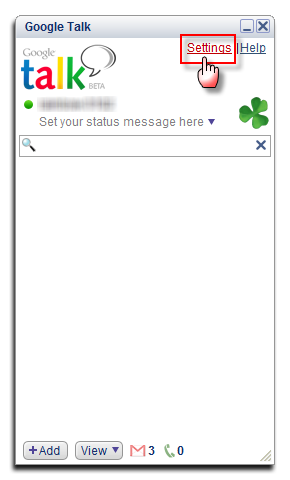 - Run Google Talk, log in your account. - Select Audio from the left list. From now on, VCSD Virtual Audio Driver will be the main audio driver used by Google Talk. Return to VCSD 7, choose the morphing effects for your voice, and make adjustments until you are satisfied with the output voice. Get back to Google Talk and start voice chat or voice call. The morphed voice will be applied automatically. Note: While VCSD Virtual Audio Driver is being set as the audio driver for Google Talk, do NOT turn off VCSD 7 when doing voice chat via Google Talk. 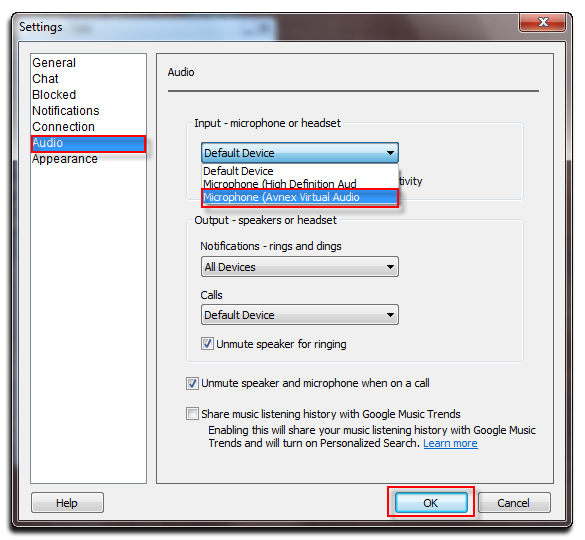 If you don’t want to use VCSD 7, change the audio settings of Google Talk back to normal audio source.